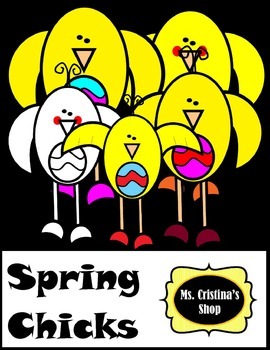 A set of spring chicks clip arts. Three in black and white and the four in colors. Great for layering your TPT products and your lesson plans.